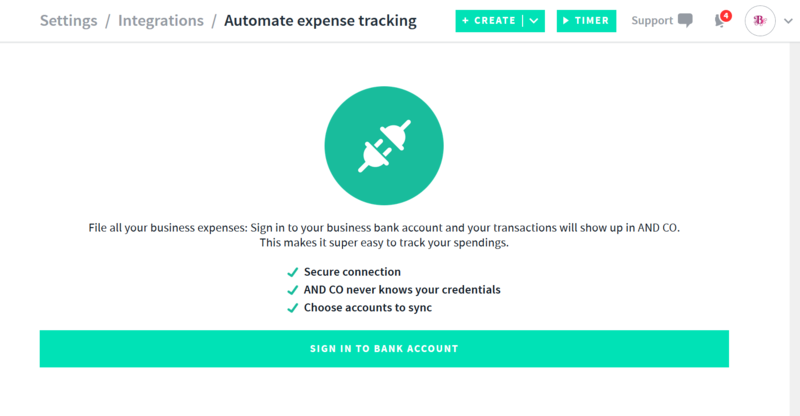 Once you have set up and connected your Bank account for automated expense tracking your bank transactions are imported into AND CO automatically ready for you to file and categorize them. See more here on how you can connect your bank account with AND CO! We use a 3rd party bank connections platform called Plaid for connecting US & Canadian Bank accounts with AND CO so you can track your income and expenses automatically. Every bank is different and there isn't exactly a predetermined interval for when transactions are imported in. It all depends on how often the bank sends data to the connection platform. Typically, it ranges anywhere between 1-3 days. The transactions will always have the correct date stamp on them for filing purposes. Once you have selected expense tracking you will see your connected bank accounts. 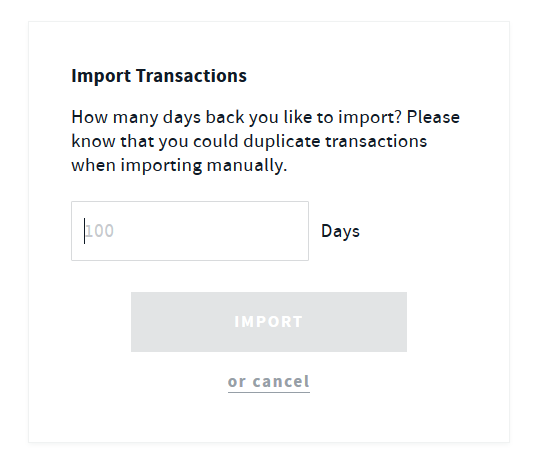 This will import transactions in based on your selection of days, however please keep in mind you may see duplicates transactions when importing manually. If you have any trouble connecting your bank or do not see your transactions on My Desk after a few days, please feel free to hit us up on the Support chat and we'll be more than happy to look into it!